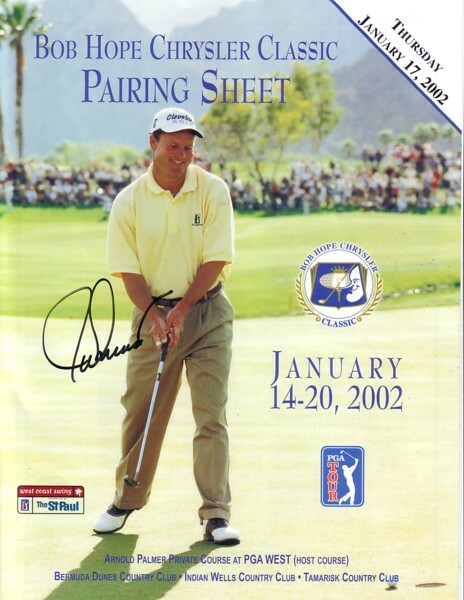 Pairings sheet from the 2002 Bob Hope Chrysler Classic featuring 2001 winner Joe Durant, autographed by Joe in blue marker. With certificate of authenticity from AutographsForSale.com. ONLY ONE AVAILABLE FOR SALE.